Join Jody as she talks with Tony Kirby, author and Burren guide, about what makes the Burren in County Clare such a fascinating and unique destination in Ireland. Tony leads Heart of Burren Walks and is the author of The Burren and the Aran Islands Walking Guide. The Burren is not a typical landscape, it is different from anywhere else in Ireland. Because it is so different it requires a bit of time to visit but those who spend time here will be rewarded as they learn of the history, culture, and heritage of the area. Though the Burren seems barren at first glance, the region’s nickname is ‘the fertile rock’. It’s a very productive agricultural region and rich in biodiversity. The Burren Food Trail, a partnership of local food producers and dining establishments has won national and European awards for their excellent local products. During the summer months (June, July, August) Tony leads walks 5 days each week, no reservations necessary. See the walks schedule here. He is also available year round for group by appointment. Walks are approximately 2.5 hours long and at an easy pace. On the walk Tony shares the history, geology, folklore, wildlife, and even farming techniques- it’s a very informative and entertaining walk! There are approximately 2000 recorded protected archaeological monuments in the Burren, at least 100 of those are megalithic tombs. Part of the reason for the abundance of archaeological monuments is due to the availability of the stone. 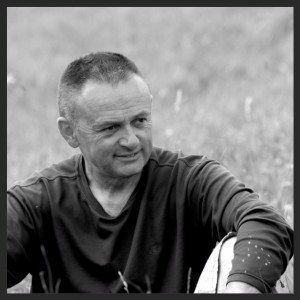 Tony hosts the Burren Tales blog with landscape photographer Karsten Krieger. People are surprised by the heritage and the significance of the area locally and internationally in botany, archaeology, geology, and agriculturally. Contact Tony For Private Guided Walks by email at info@heartofburrenwalks.com . Note: You will need a car to get to these locations. I recommend IrishCarRentals.com for an unbeatable quote. Use code IFV in the referrals box. Tony recommends sites along the Wild Atlantic Way, the 2400km touring route along Ireland’s west coast. The Skellig Ring, a short route off the Ring of Kerry for its dramatic coastline, views of the Skellig islands, and inability for large coaches to drive the (very) narrow, sometimes steep, winding roads. Tip: Approaching this route you will encounter quite a few tour buses and this lesser known ring has many roads that include blind curves and single width on two way roads. My family hired Ireland Chauffeur Travel for our day trip from Killarney. Our driver guide took us to ‘hidden’ sites along the coast, recommended a delicious spot for lunch, and made sure we got to Skellig Chocolates before they closed. Sheeps Head, a peninsula in West Cork. Located ‘beneath’ the Beara Peninsula, there are no tour buses allowed here. Tony recommends a couple of days here but if you just want a taste of what make the area so special do what we did and drive to the end of the road to Bernie’s An Cupan Tae then walk to the signal tower. It 2km ‘as the crow flies’, but farther as you meander up and down craggy hills. Bring water and maybe a light snack for the hike, then treat yourself to and ice cream or tea & scone when you return to the cafe. The Burren. I’ve outlined a few highlights to help you plan a few days in the Burren. The stories of the Burren go back thousands of years and are well worth discovering.